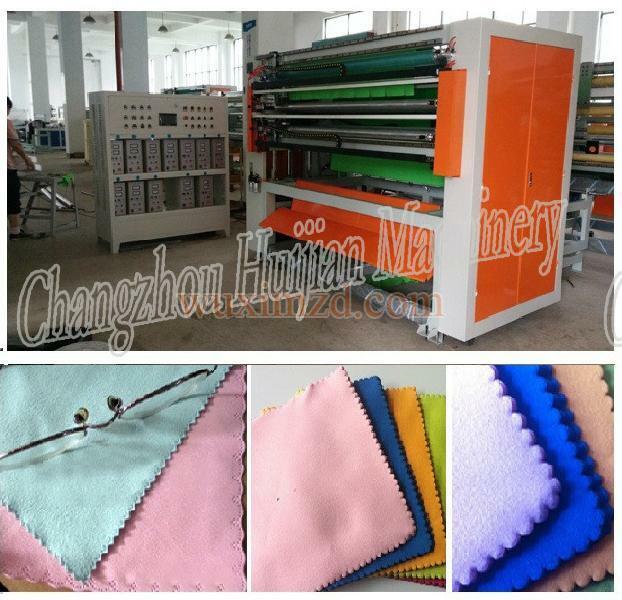 1, the machine uses the most advanced ultrasonic clean cloth cutting process, and is different to the traditional ultrasonic cutting way completely, the eighth generation article points machine is adopt to pressure and cut way cutting, the cutting way of cloth from the thickness of influence (applicable to common polyester single pole, embossed, flat, superfine single-pole, embossed, woven single-pole, etc. ), cut out seam hardness customers can request the free adjustment; Change the machine can produce flat grain, knurling, on his own, decorative pattern cutting, etc. (with clean cloth cut machine supporting the use of) 2, the equipment adopts PLC and touch screen control; Precision line rail mobile way to make the work more stable, more convenient operation; Adopt Taiwan imports of ultrasonic system output is strong, the work is more stable and longer service life.